It is quite amazing to witness many toddlers and infants gaining a lot of fame and popularity without lifting a single finger, but it would appear that anything is possible in Hollywood. Such is the case with Maya Versano, the second child of movie star Gal Gadot and her real estate mogul husband, Yaron Versano. Maya is one of the celebrity kids of Hollywood who rode to fame on the wings of their parents’ popularity. The big question now is, how is this toddler dealing with all the media attention at a very young age? Let’s find out below. A lot of kids exist who are lucky to have the rich and the famous as their parents, Maya Versano happens to be one of such kids who came into the world with the proverbial silver spoon intact. She is the daughter of actress Gal Gadot best known for her role in Wonder Woman and Fast and Furious and her dad is Yaron Versano – an Israeli business tycoon with a vast interest in real estate. She was born on the 19th of March 2017 and her place of birth is in Los Angeles, California which makes her an American national. Her mother’s celebrity status has rubbed off on other members of her family like Maya’s maternal grandparents – Irit and Michael Gadot who have enjoyed the limelight on several occasions. Also, her aunt, Dana, has benefited from Gal’s fame. So it’s not surprising that the popularity has also rubbed off on Maya. When Maya Versano was still in her mother’s womb, the famed actress was very vocal about her pregnancy and took to social media to share several pictures with her baby bump. She was undeniably excited about Maya’s arrival. Maya is not the only child of Gal and Yaron, she has an older sister named Alma Versano who she is undoubtedly very close to. Alma is still very young but like her baby sister, Maya, she is enjoying a lot of media attention which is only natural, given the fact that both their parents are famous in their own rights. Maya Versano’s parents are always under the spotlight of the media because of her mum’s celebrity status in Hollywood, coupled with her dad’s standing in the business world as one of the top real estate moguls. Gal and Yaron met in 2008 and since then, they have been inseparable. Their story is quite an inspiring one, they were both in an Israeli desert when they met and had some discussions on trivia topics like healthy eating, chakras and yoga. While it was initially awkward as the two were not previously acquainted, they managed to get along well. Gal who was still very young did not instantly recognize the chemistry sizzling in the air but Yaron knew instantly that this was the woman to share his life with. Yaron declared his feelings on their next date and a couple of years later; they became officially engaged and eventually culminated their relationship in a wedding ceremony. Although Maya Versano’s parents are both career people, they have a healthy dose of understanding for each other. Her dad is very respectable, always encouraging his wife to follow her heart. 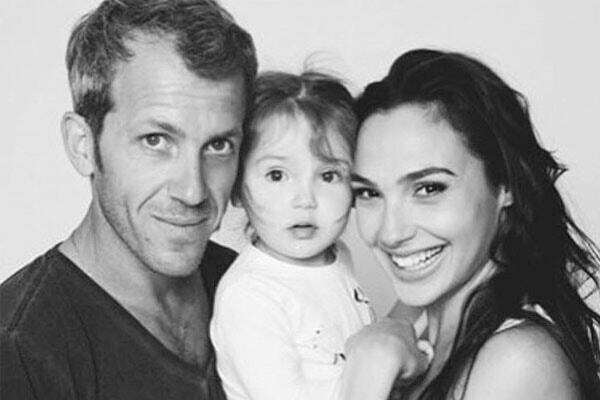 In fact, whenever Gal embarks on long travels for her movie projects, Yaron takes care of their daughters. Gal and Yaron are partners who share a great deal of love and affection for each other and still manage to keep the ball rolling in the face of challenges and distance. Maya Versano has other family members which include her older sister, Alma Versano, who also enjoys a lot of media attention and her grandparents – Irit Gadot and Michael Gadot, both of whom have come under the spotlight of the press on more than one occasion. Maya Versano may be too young to have a net worth but she is currently enjoying the wealth of both her parents whose net worth came to a whopping $30 million together. Maya Versano is still very young and as a result, she is growing every day; because of this, her body statistics are irrelevant at the moment. However, she was born with natural blonde hair and brown eyes. Interesting to know that during the reshoot of Wonder woman, Maya’s mum was five months pregnant with her. Perhaps that is why she sees Maya as one of the wonders in her life.